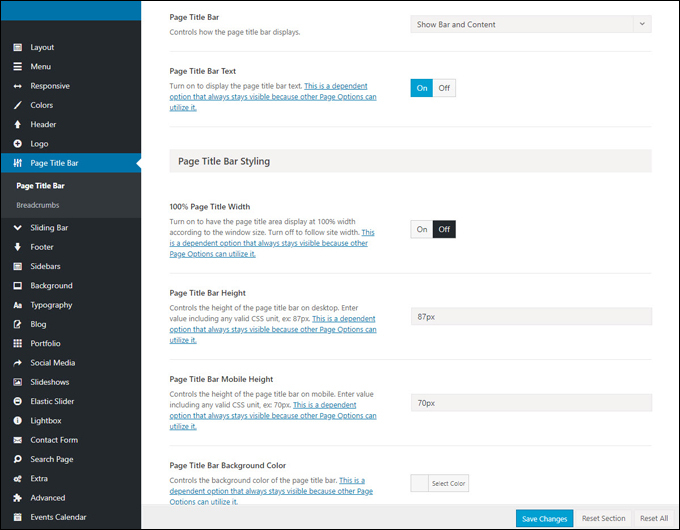 Avada is a fully responsive and highly customizable WordPress theme that offers you unlimited flexibility and lets you build any kind of website you need for any type of business without having to touch code …. 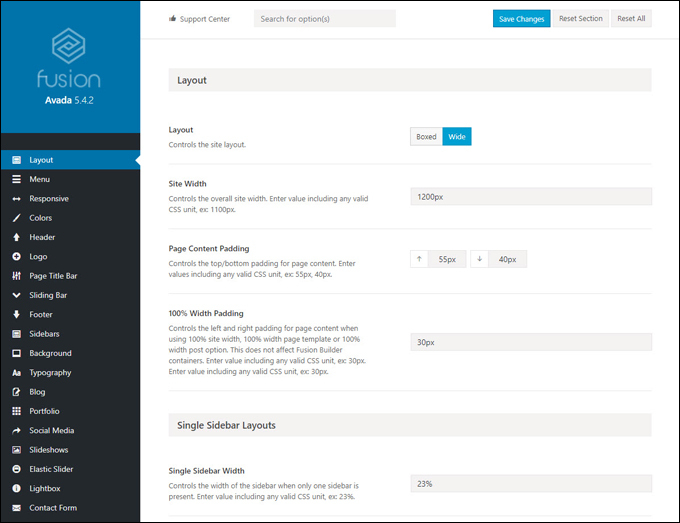 If you are looking for a fully responsive and highly customizable WordPress theme that offers you unlimited flexibility and lets you build any kind of website you need for any type of business without having to touch code, then you would be hard pressed to find a better theme than Avada. 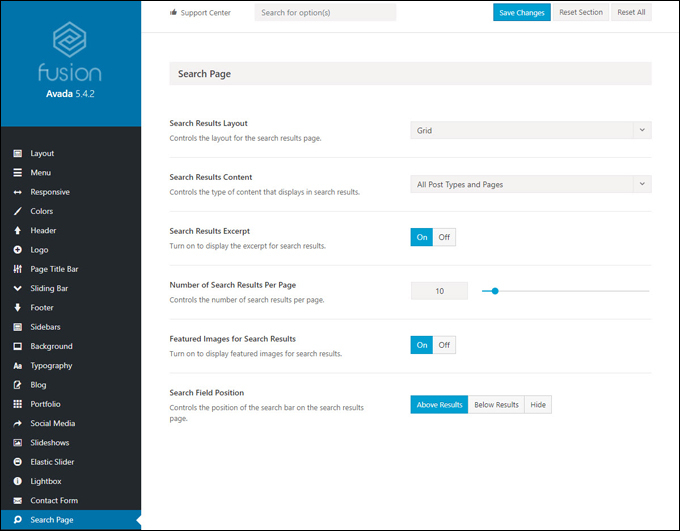 With Avada, you literally can build anything online, from websites for micro-businesses and small businesses, to corporate websites and blogs, portfolio websites, e-commerce stores, and more! 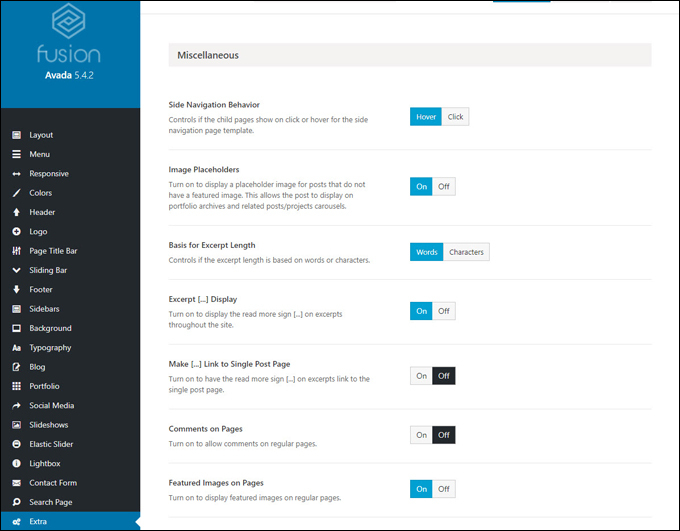 This premium theme is used by hundreds of thousands of websites and sells for around $60. 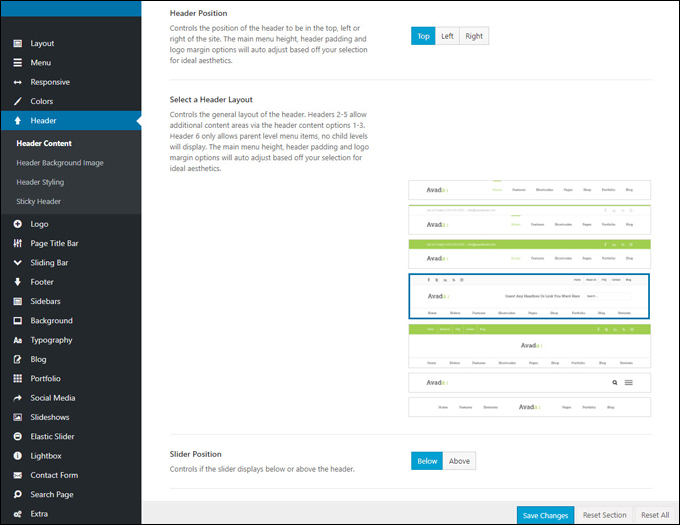 Check out the Avada demo. 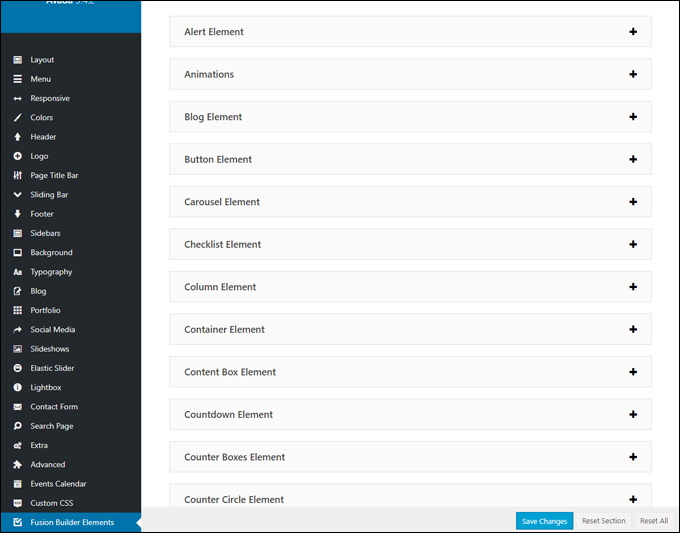 The Avada theme is easy to install, configure, and use. 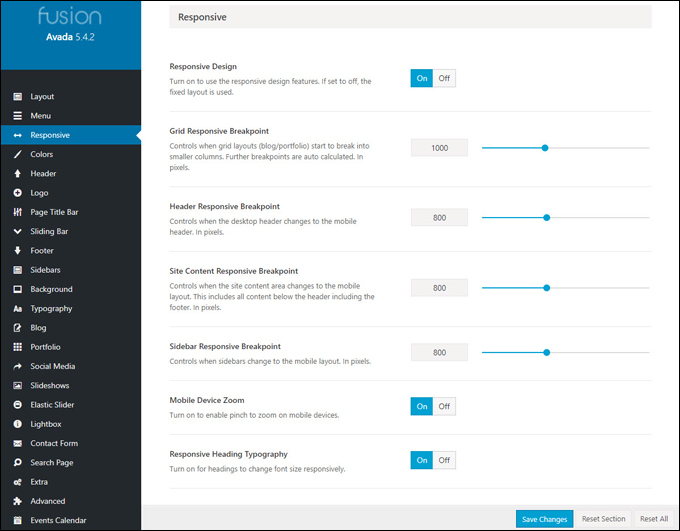 Fully Responsive: Your website will adapt and look great on every device, web browser, and screen size. 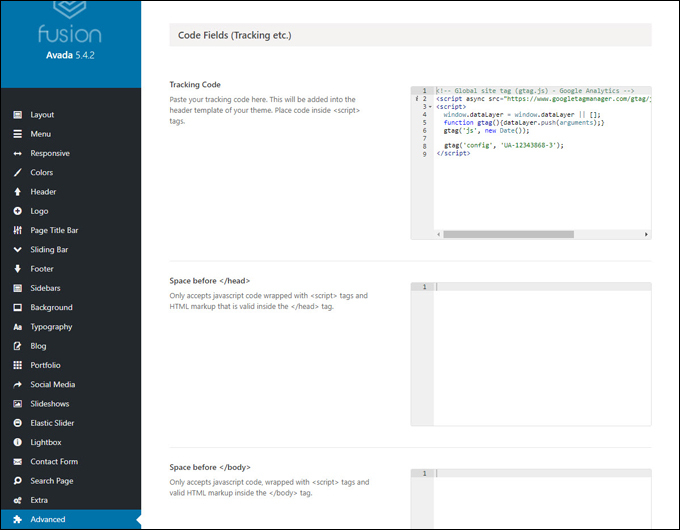 Translation & RTL-ready: You can translate your site into any language, or use one of dozens of included language files. 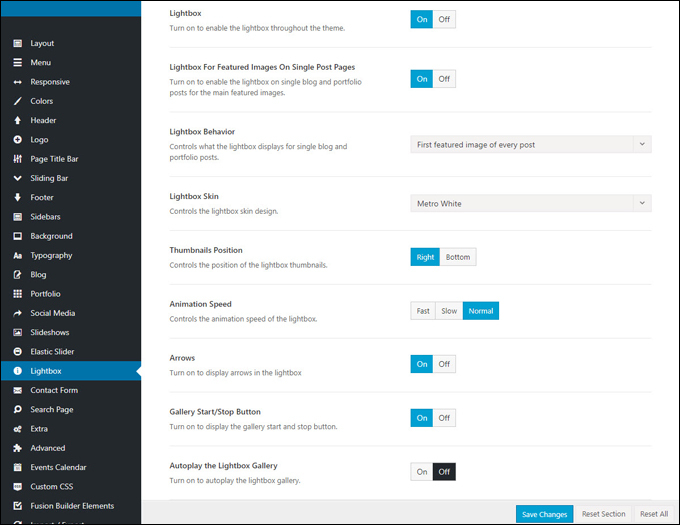 Avada is also fully RTL (right-to-left) compatible. 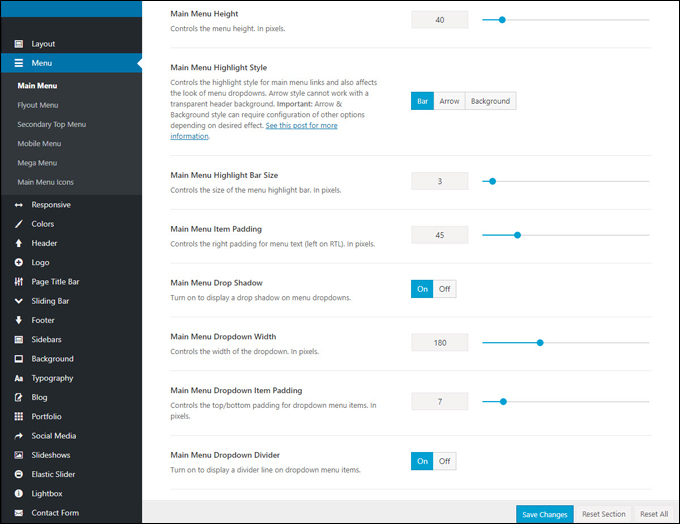 Layout: Control the overall site width, main content area, and single and dual sidebar widths using pixels or percentages. 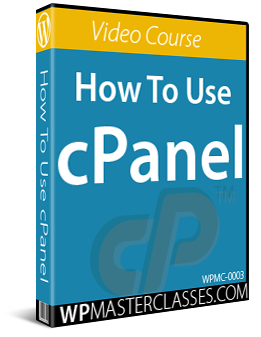 Choose full-page or boxed layouts for different pages, advanced header and footer options, multiple menu locations, 1-6 column options, mega menus with widgets, page title bars, different types of sliders, lightboxes, custom backgrounds, one page sites with parallax scrolling effects, multi-page sites, etc. 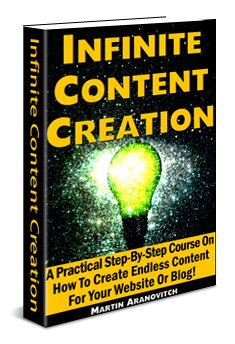 Blog: You can run a website or e-commerce store as your main website and a blog with a different layout and customizable blog options. 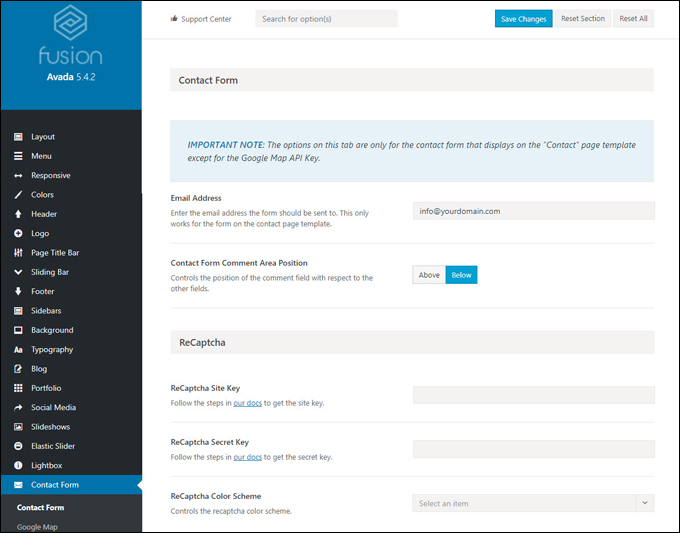 You can also add a forum, portfolio pages, etc. 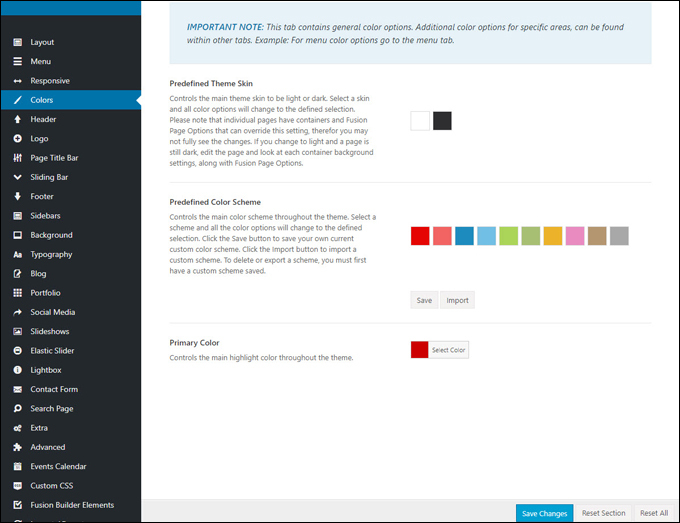 Unlimited Colors: Avada provides unlimited color choices and options for your website and page elements using an advanced color selection tool. 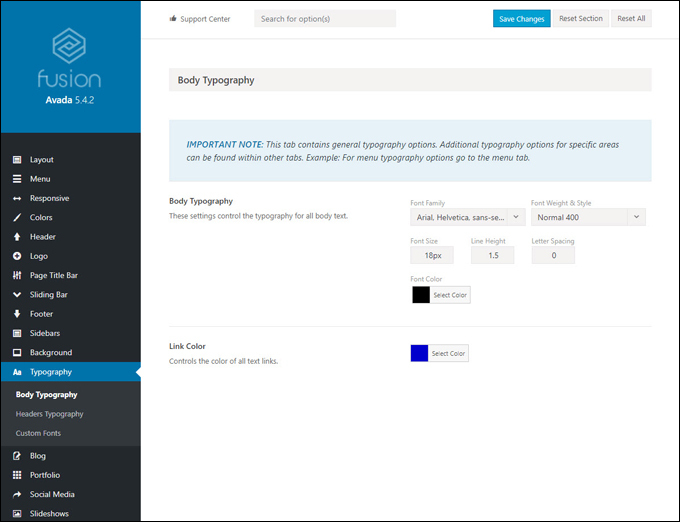 Advanced Typography: Avada offers advanced typography options that give you full control over the type that displays on your website. 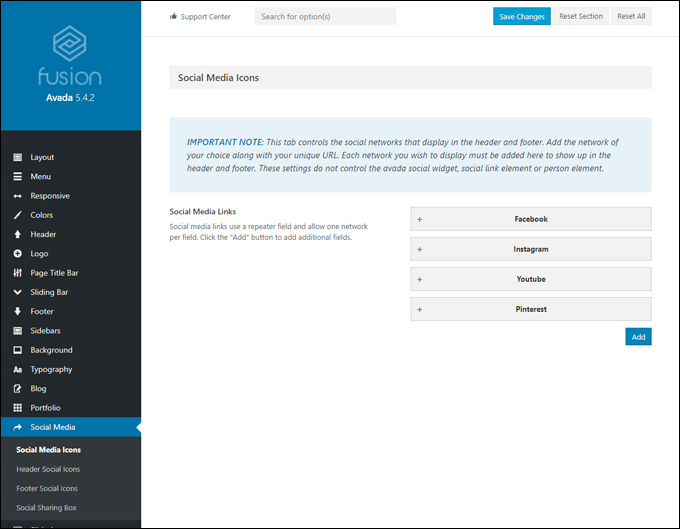 Social Sharing: Avada has a full set of social icons and styling options for sharing your content. 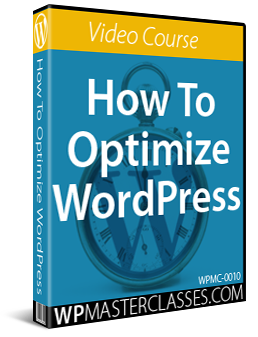 SEO and Speed Optimized – The theme is optimized for search engine indexing and a great user experience. 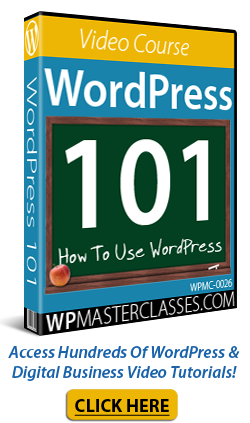 In short, no matter what business you are in or what kind of website you plan to build, with a theme like Avada installed on your WordPress site, you can easily build and configure a unique website that lets you do whatever you need, that puts you in control of your digital presence, and that will save you hundreds or even thousands of dollars on the cost of web development or web design. 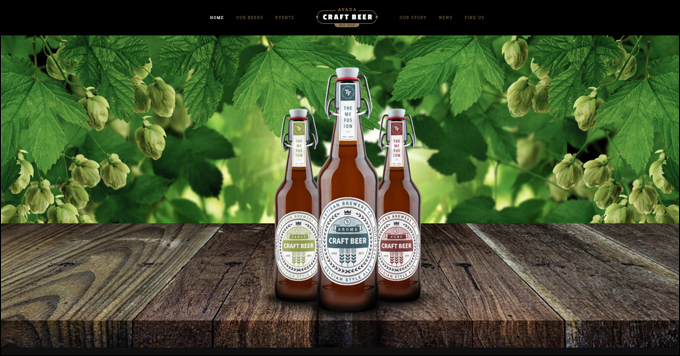 Avada Craft Beer is designed and built to suit specialty & craft breweries. 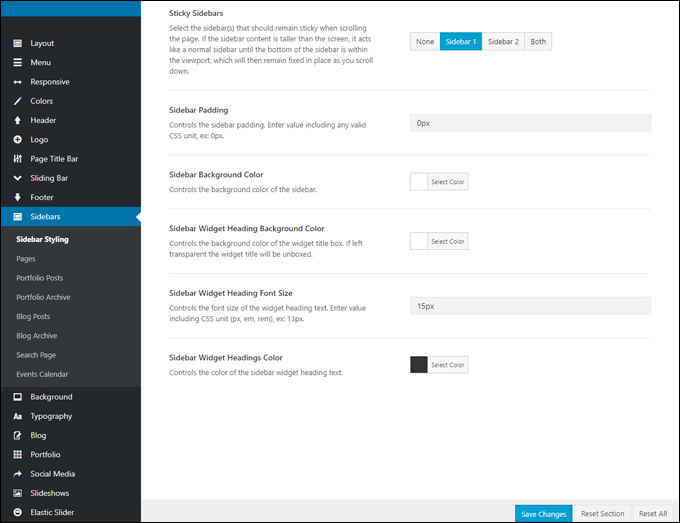 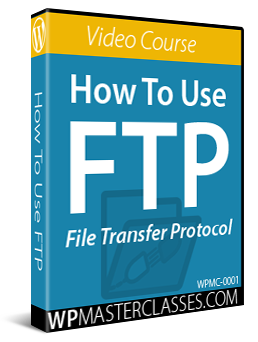 Featuring high resolution photography and a modern dark color scheme. 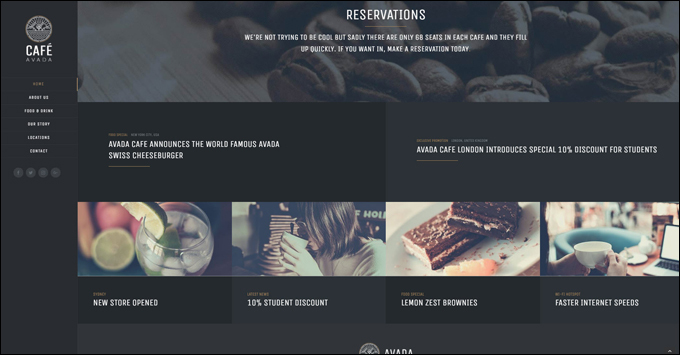 Avada Cafe is a stunning, rich, stylish and sophisticated theme for cafes, bars, and restaurants. 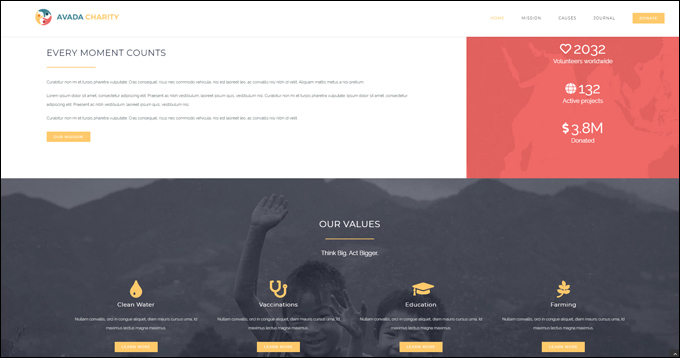 Avada Charity is perfect for any organization looking for a professional online presence to help promote their cause. 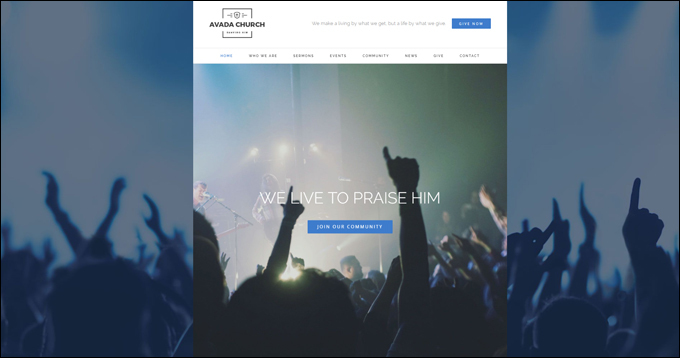 Avada Church is perfect for Churches & Non-Profits. 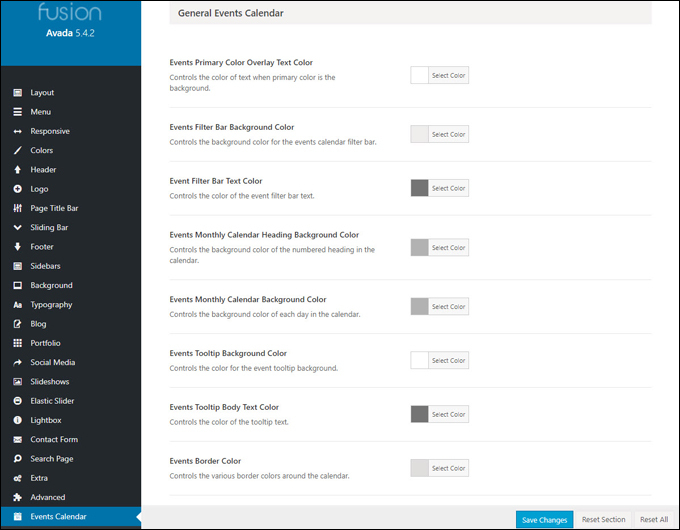 Features beautiful design and full integration with The Events Calendar plugin. 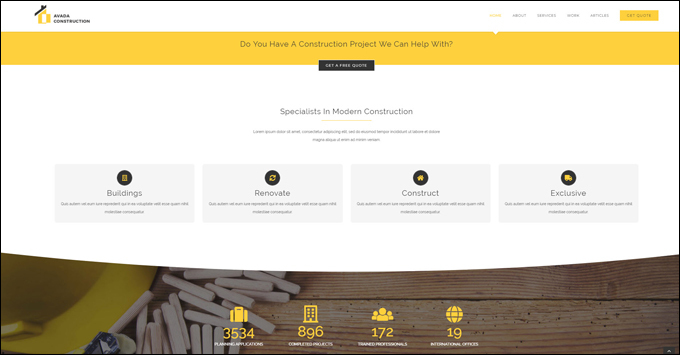 Avada Construction provides a professional and unique design to any construction-related business. 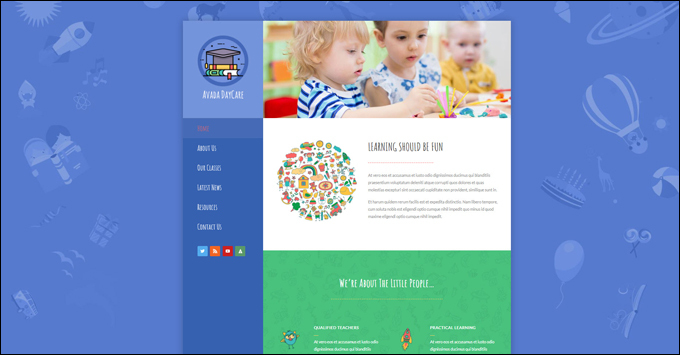 Avada Daycare provides an original design suitable for any type of daycare or school for children or infants. 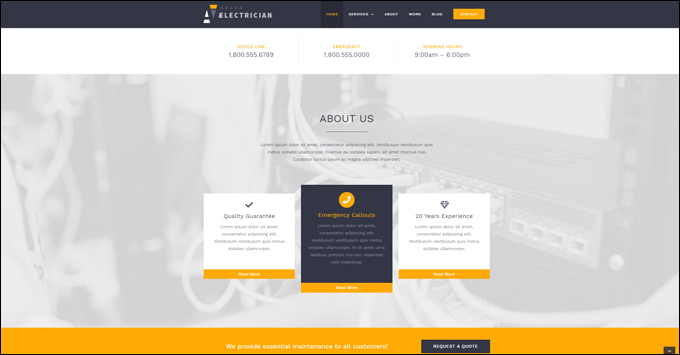 Avada Electrician provides clean cut, professional & attractive design to give your website the spark of creativity and professionalism it deserves. 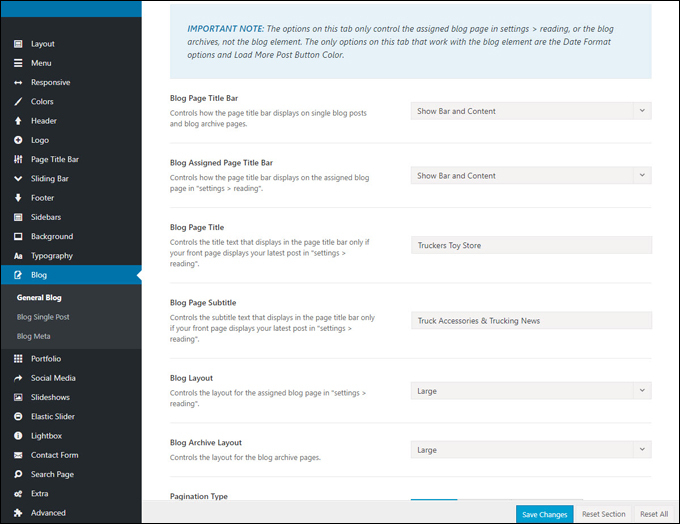 Avada Fashion provides sleek and modern design with a stylish edge for a fashion website or blog. 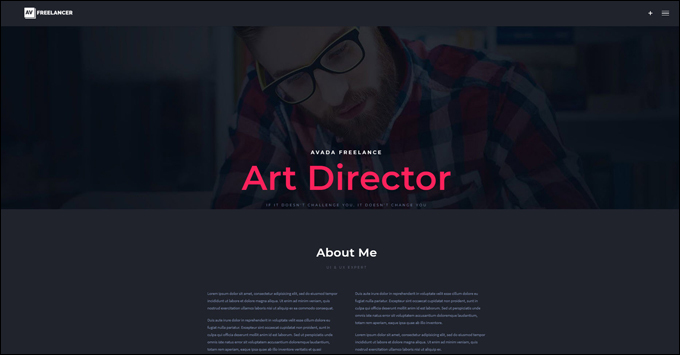 Avada Freelancer is beautiful & stylish, allowing you to creatively show off your hard working skills to potential clients. 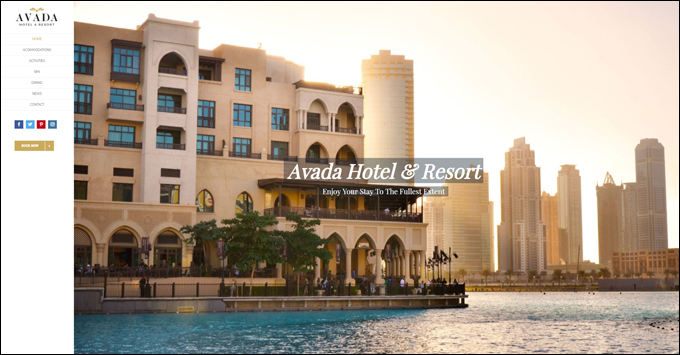 Avada Hotel provides beautiful high end design geared toward the hotel and travel accomodation industry. 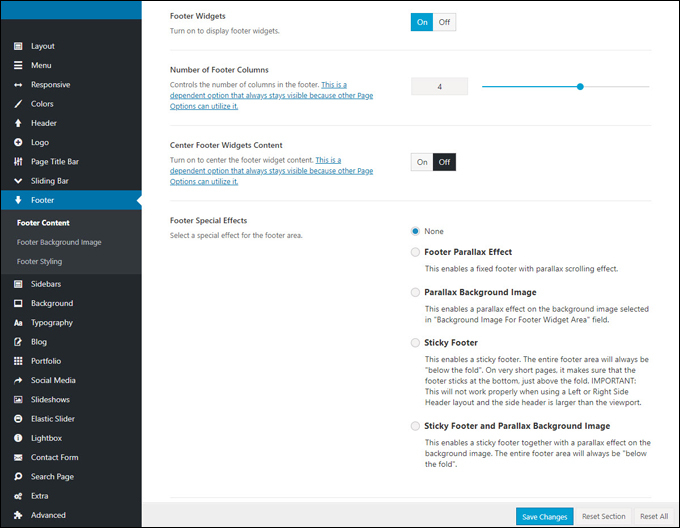 Side header layout with beautiful layout sections for images and copy. 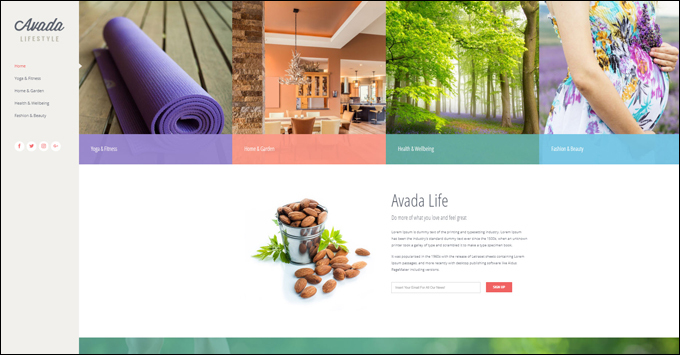 Avada Lifestyle is geared towards health, fitness, and well being. 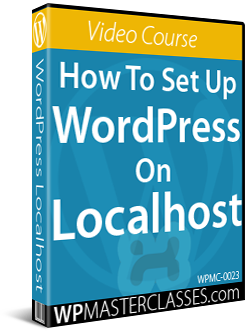 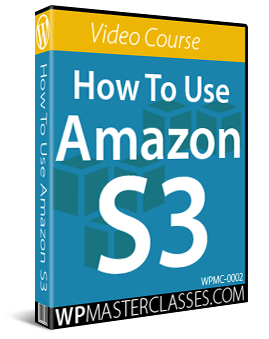 It features a side header layout with large layouts & attractive calls to action. 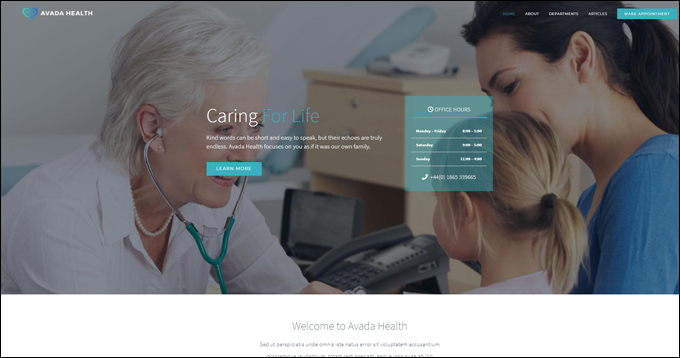 Avada Health provides a perfect design for any type of medical industry specialty. 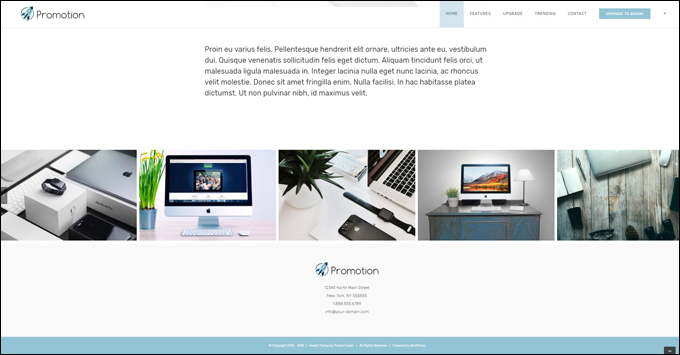 Avada Promote is a general promotion demo with a modern design that has big bold text, beautiful images and clean crisp layouts. 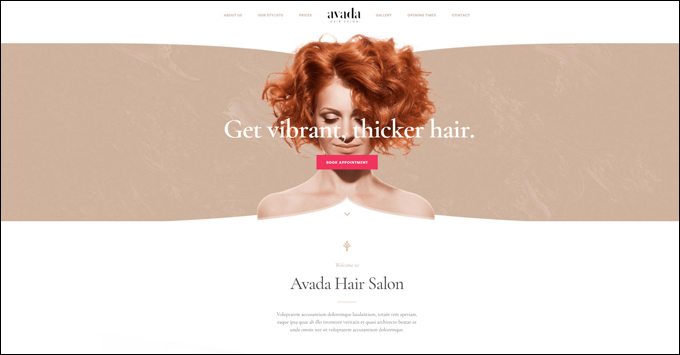 Avada Hair Salon is a beautifully designed hair salon demo with a contemporary design, stylish imagery, and stunning typography. 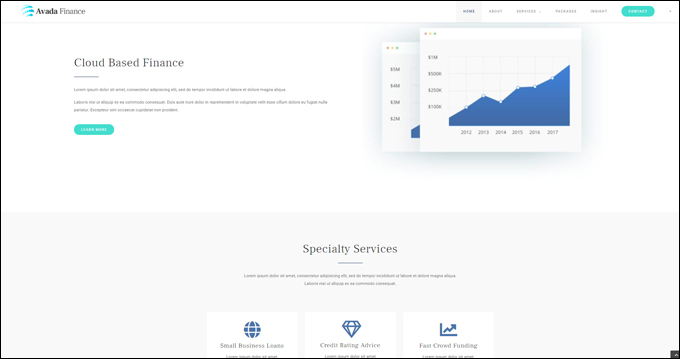 Avada Finance is a clean, modern, and fresh theme designed with flexibility and can be adapted to any finance business website. 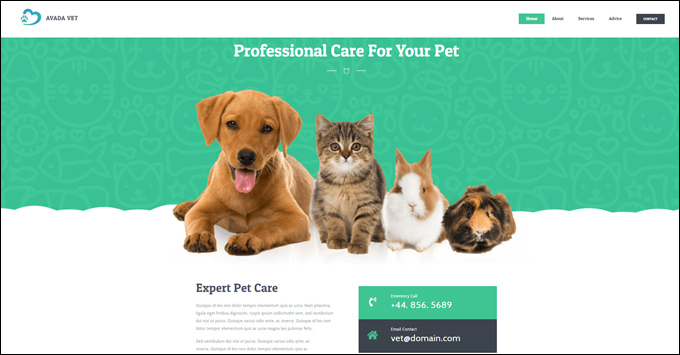 Beautiful and professional design for veterinarians and pet care professionals. 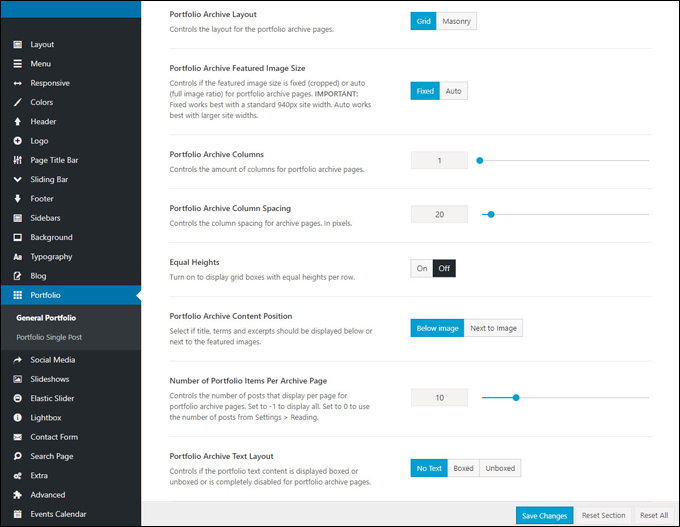 Originally published as Avada – A Highly Customizable Multipurpose WordPress Theme.